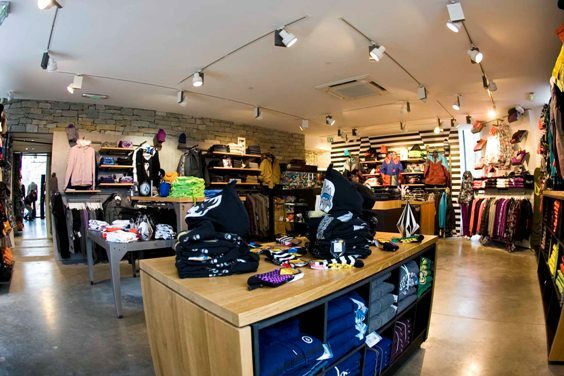 With five other store openings in 2012, on Saturday 20th of October, Volcom continued to develop its retail network through a new retail store on the high-street of Chamonix, Rue Paccard (N°179) and a partner store in Les 2 Alps a week later on Friday the 26th. The Chamonix store is spread out in two levels covering over 190m2, catering to a complete customer base though a selection of both technical outerwear and street apparel for men, girls and youth. Supporting the wide range of outerwear, fellow PPR owned brand Electric, is represented through a range of eyewear. Volcom’s new retail concept is well represented in Chamonix not only through the wide product selection but through its creative solutions of dividing the space into sections through different floor, wall and ceiling materials and also through innovative ideas such as a photo station built inside an old gondola where customers can snap a memory of their visit against a captivating backdrop of the Mont Blanc. Hand painted wall art by the company’s in-house art department, subsequent use of collage and hand built props wrap up the concept and sends out a true Volcom feel which show’s that the only constant is change. The roots of Volcom derive from all facets of core boardsports (surf, skate and snowboarding) and while the brand has so far been well represented in they key areas of surfing and skateboarding across Europe, via these new retail openings, the brand can now finally claim its rightly earned spot as a key player in the European snow outerwear business. 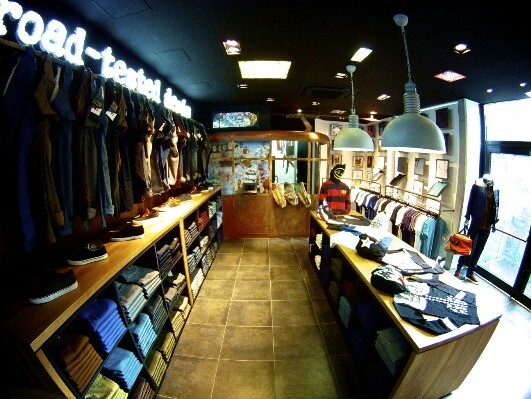 With this announcement Volcom concludes its retail expansion strategy for 2012, giving the brand a total of 12 stores placed across Europe. Volcom is a modern lifestyle brand that encapsulates the creative spirit of youth culture. The company embodies freedom, innovation and constant experimentation as a way of breaking with tradition. Volcom’s avant-garde approach in terms of clothing and image is what makes the brand stand out in the extreme sports industry and beyond. The PPR group seeks to maximise the growth potential of a complementary collection of leading luxury, sport and lifestyle brands specialising in clothing and accessories. Present in over 120 countries, PPR achieved a turnover of 12.2 billion euros in 2011 and employed almost 47,000 staff as of the end of that year. PPR shares are listed on Euronext in Paris (FR 0000121485, PRTP.PA, PPFP). Find Gucci, Bottega Veneta, Yves Saint Laurent, Alexander McQueen, Balenciaga, Brioni, Stella McCartney, Sergio Rossi, Boucheron, Girard-Perregaux, JeanRichard, Puma, Volcom, Cobra, Electric, Tretorn and Fnac at www.ppr.com. Volcom has also been expanding in Barcelona. This entry was posted in Fashion Brand, Retail Stores and tagged France, retail, Volcom. Bookmark the permalink.